A fascia provides support in two ways. First, it reinforces the bottom row of roof tiles. Secondly, it supports the guttering system. This is an important role because gutters divert rainwater from causing structural damage and flooding to the property. In heavy rainstorms, over twenty litres of water per second can be carried through the gutters. 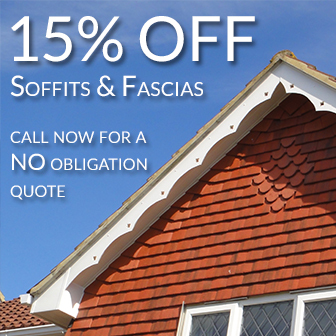 In this way, the fascias’ role is extremely important. What is a uPVC Fascia? uPVC fascias are long rectangular uPVC boards that we attach to the roof trusses. The uPVC boards join the outer walls of the house with the roof. This is the reason it is sometimes referred to as the ‘roofline’. 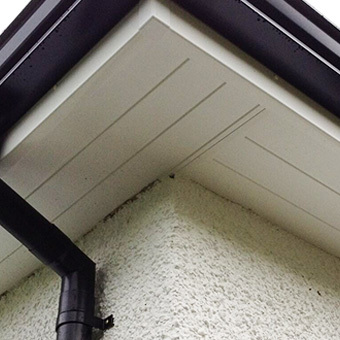 uPVC fascias are made from unplasticised polyvinyl chloride which is commonly known as ‘rigid PVC’. This is a safe material that contains no BPA or phthalates. What Are The Benefits of uPVC Fascia? uPVC fascias brings new meaning to the term ‘low maintenance’. The colour extends throughout the entire depth of the material, so they will not fade and do not require painting or repainting. They are tough on impact, and will not rust, crack, warp or rot. uPVC fascias are a particular favourite in areas with harsh weather conditions, because they are water and wind resistant. Furthermore, they are fire, insect, and vermin resistant. Finally, uPVC fascias are lightweight and highly cost effective. At the end of their life, they can be recycled. This advantage reduces their carbon imprint and makes them environmentally friendly. Summit Cladding uses uPVC fascias for all of the above reasons. We have found that alternative building materials, such as timber, are expensive, high maintenance and delicate. Other materials rot, warp and can spread flames quickly in the event of a fire. Vermin and insects can eat through wood, and it is difficult to verify responsible sourcing once the wood has been treated and coloured. In over thirty years we have had the opportunity to witness every type of fascia material, and uPVC fascias are superior. We wouldn’t want your home to have anything less. 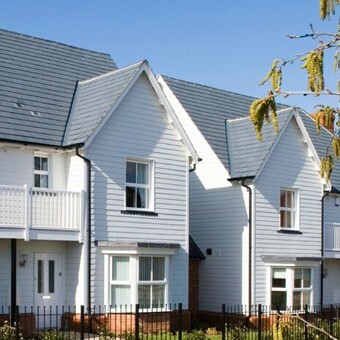 For more information on our roofline solutions, contact Summit Cladding Today.